Al-Hikmah University Post UTME screening exercise result for the 2017/2018 academic session is out. The university management hereby advice's candidates who sat for the exam to go and check their result now. Step 2: Enter your application ID and password in the appropriate columns. Step 3: Click on Login to view your Post-UTME result. With the above steps, you can easily Check Al-Hikmah Post-UTME Result 2017/2018 by yourself without stress. Alhikmah University Sub-degree Diploma and Undergraduate Programmes procedures/requirements. Alhikmah University hereby invites suitable qualified candidates to the ongoing sub-degree diploma and undergraduate programmes at the university. http://www.alhikmah.edu.ng to fill the form online and also pay a non-refundable fee of N10,000 online. Applicants for M.A. degree and PGDE programmes are to pay a non-refundable fee of N20,000 online after completing the form. (ii) When you are done with that, print the duly completed form, online Payment Receipt and Two copies of the Reference Form. (iv) Also, make sure you submit the duly completed form with relevant credentials (Original & Photocopy) and official receipt at the Admissions Office for immediate screening. Please note that Al-Hikmah University does not accept cash payment or direct payment into the school Account. All Payments are made online. How to request and collect Al-Hikmah University Academic Transcript. The article below contains information on how much the Al-Hikmah University Transcript costs and other useful information. 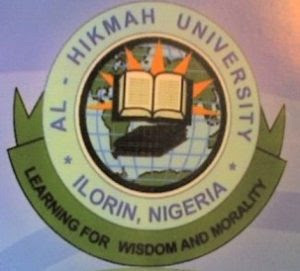 Al-Hikmah University, Ilorin, Kwara State procedure for obtaining the academic transcript by graduates of the institution. This was made known to us today by the school management. Student’s Copy – Two thousand, Five hundred Naira (N2,500) only. Official Transcript – Five thousand Naira (N5000) only. Step 2: Take the bank draft to the Bursary Department of Al-Hikmah University where you will be issued the University receipt showing the amount paid. Step 3: Apply to the Registrar, Al-Hikmah University for the Transcript attaching the original receipt issued by the Bursar Department. Application for Al-Hikmah University Transcript must contain the Name, Matric No., Level and Department. For official Transcript, details of where the Transcript is to be forwarded to should be well indicated in the application. Applicants will be responsible for the cost of postage/courier service from Al-Hikmah University to its destination in case of an Official Transcript. It takes about two weeks to process request for transcript. Request for Transcript should be made early enough as applications are treated on first come first served. You can contact Al-Hikmah University management for more clarification. 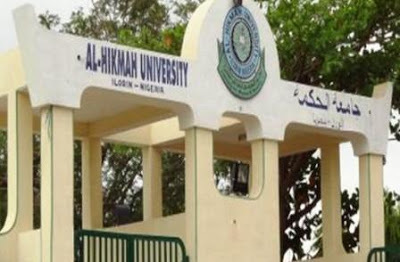 The management of Al-Hikmah University recently observed that the accommodation of all students in the University hostel would solve a number of problems, among which are off-campus misbehavior and poor attendance of lectures. Al-Hikmah university management therefore, had decided that begining from 2017/2018 Academic Session, it would be compulsory for all students to live in the University Hostels. Parents/Students to please note this decision of the Management which will take effect as from 2017/2018 Academic Session. Request by parents/guardians for their wards to stay off-campus shall be considered on its own merit. Alhikmah University through her management hereby inform all students on the commencement of the 2016/2017 Rain Semester Examination. - Students Identity Card ( I.D Card ). - Duly stamped Examination Card (Docket) for Rain Semester. 1. Do not enter the examination room with any inscription on your school fees receipt or any part of your body, e.g. palm, arm, thigh, etc. 2. Maintain absolute silence in the examination room. Only raise up your hand to attract the attention of the Invigilator if and when necessary. 4. Do your revision outside the Examination room so that you don’t, by omission, forget any incriminating material either on yourself or on your table. 5. Do not write anything on your question papers. 6. Do not copy or attempt to copy from another student or engage in any similar activity. 7. Avoid any kind of communication between you and any other student(s) while the examination is in progress. Any student that fails to observe any of the above instructions shall, prima facie, constitute examination malpractice, the penalty of which is AUTOMATIC EXPULSION from the University. Please, be warned. Time, Date and Venue of Al-Hikmah 2017 SIWES Orientation Programmme. Al-Hikmah University vice chancellor, Professor Taofeek Ibrahim (FWACP, MBBS, CERT EPID) on behalf of the Council, Senate, Management and Staff of Al-Hikmah University, Ilorin-Nigeria cordially invites all 200L and 300L students to the 2017 SIWES Orientation programmme. Note: ATTENDANCE IS MANDATORY FOR ALL 200L AND 300L STUDENTS.